Welcome to RECOUP - RECycling of Used Plastics Limited (RECOUP) is a charity and leading authority providing expertise and guidance across the plastics recycling value chain. Built on a network of valued members, collaboration is central to our activities. RECOUP is committed to securing sustainable, circular and practical solutions for plastic resources both in the UK and world-wide. Pledge 2 Recycle Plastics is the national plastics recycling initiative which aims to boost plastic recycling in the UK and achieve real behaviour change through consistent and simple messages. The initiative aims to reduce confusion of householders when recycling plastics via kerbside collection. 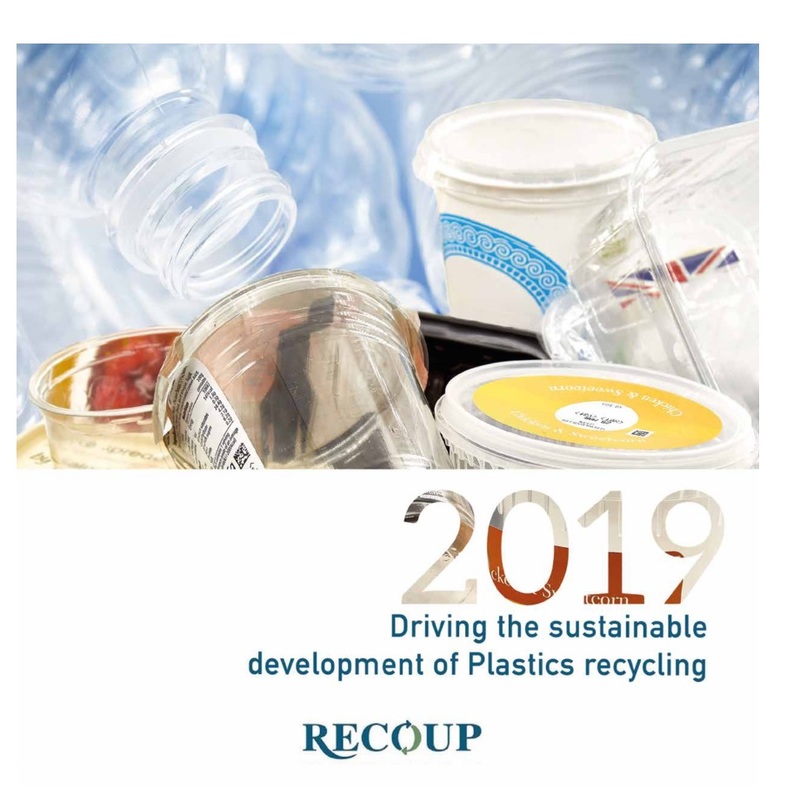 The 2019 RECOUP Achievements Brochure is now ready to download here. RECOUP news and updates happening in plastics recycling field. Find out how to join other RECOUP members - working together to maximise efficient plastics recycling and deliver real environmental benefits. The RECOUP UK Household Plastics Collection Survey and Case Study supplement are publications to outline the collection of household plastics in the UK. Plastics Packaging Recyclability by Design - an essential guide for all those involved in development, design, marketing and procurement. The new version, is now available.